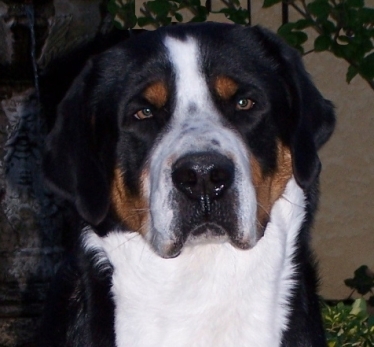 Gigantor is a gorgeous, big Swissy, with excellent bone and substance. He has a rock solid topline with beautiful shoulder layback and nice angles. Gigantor has a very strong prosternum with great depth of chest. 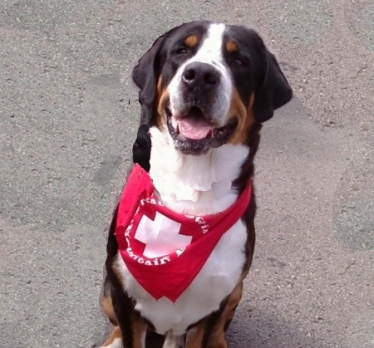 He is a magnificent Swissy with a "drop dead" gorgeous head piece to top off his excellent Swissy type. Gigantor has it all! He not only is beautiful, (finishing his AKC Championship in 3 weekends) he is very smart and has a temperament as easy going as they come. 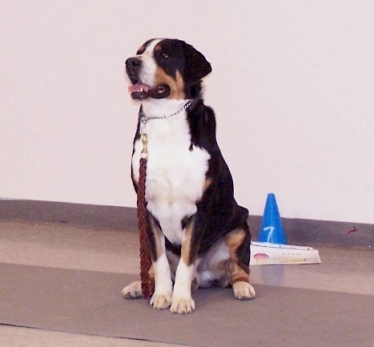 He finished his Rally Novice Obedience title very quickly and is also a Certified Therapy Dog! 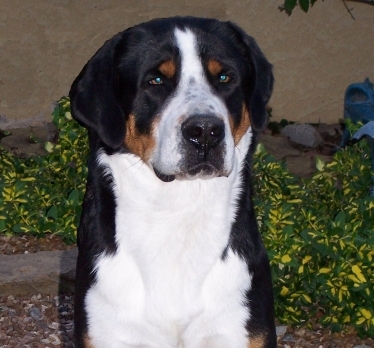 Gigantor is truly an amazing dog and we are very excited about the breeding between him and Jayda. We anticipate this litter to be everything we could ever hope for. *05/02/2009 Spirit of the Heartland KC, Missouri-BOS 3 pt Major, first points, first show. 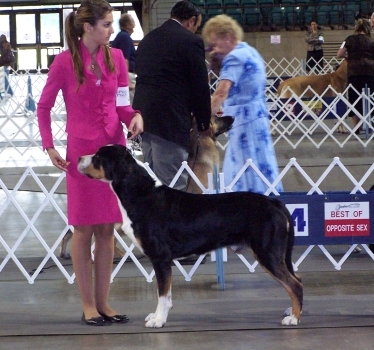 *05/30/2009 Mississippi Valley Kennel Club, Mississippi-BOS 2 pts. 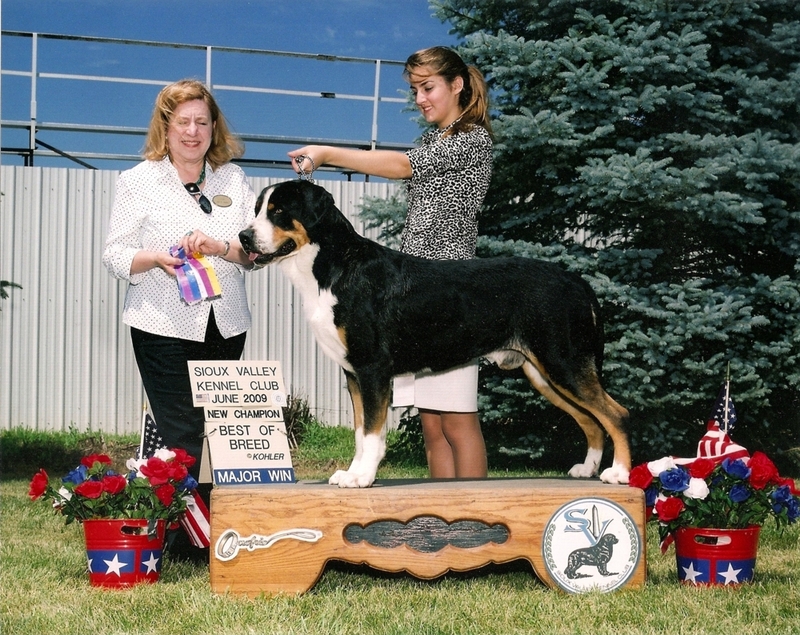 *06/27/2009 Sioux Valley Kennel Club, BOB 3 pt Major. 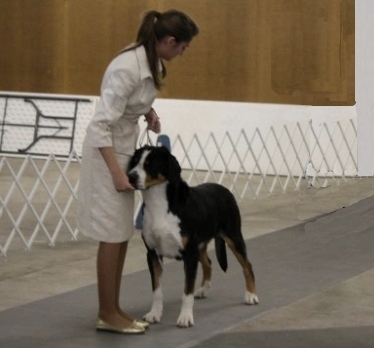 Finished AKC CHAMPIONSHIP!